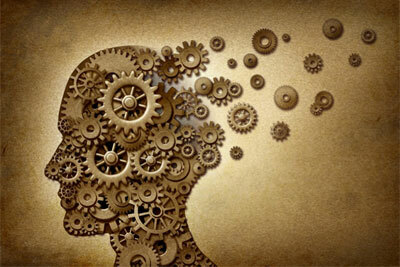 Why do our brains become ill? 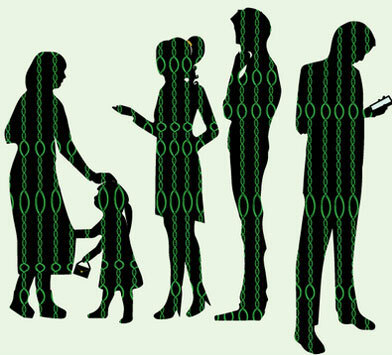 Analyzing the genomes of tens of thousands of individuals to identify genes in which common and rare variants shape risk of illness. Biological experiments and computational data analysis to understand how these genes and alleles affect the function of neurons, glia, and other brain cell types. For example, we are mapping genetic influences to specific cell populations (interneurons, excitatory neurons, microglia, astrocytes) and working to understand how genetic variation perturbs the biology of those cell populations. This work involves genomic study of brain tissue from humans and mice and of cell culture models in which neurons are interacting with microglia and other kinds of cells. Our goal is to identify the key molecular and cellular events in the etiology of illness. McCarroll, Feng and Hyman, Genome-scale neurogenetics: methodology and meaning. Nature Neuroscience, 2014. Sekar et al., Schizophrenia risk from complex variation of complement component 4. Nature, 2016. Genovese et al., Increased burden of ultra-rare protein-altering variants among 4,877 individuals with schizophrenia. Nature Neuroscience, 2016. 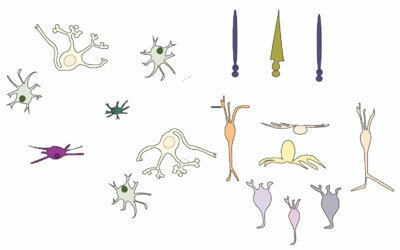 What cellular specializations make our brains work? We developed the Drop-seq technology for profiling RNA expression genome-wide in thousands of individual cells at once. We are now using Drop-seq to ascertain things like: the cell types that populate the brain; the specific cell populations whose biology is altered in schizophrenia, autism and other illnesses; and the ways in which genetic variation acts at the level of specific cell types. We are also developing ways to extend this technology beyond transcriptomics to other aspects of a cell’s life. Macosko et al., Highly parallel genome-wide expression profiling of individual cells using nanoliter droplets. Cell, 2015. Quadrato et al., Cell diversity and network dynamics in photosensitive human brain organoids. Nature, 2017. Campbell et al., A molecular census of arcuate hypothalamus and median eminence cell types. Nature Neuroscience, 2017. What can we learn about human biology from sequencing? Genome sequence data can be used in new ways to teach us novel things about human biology. We have recently used sequencing data to discover that DNA replication processes vary from person to person; to uncover a common pre-cancerous condition of the human blood; and to discover that pluripotent stem cells routinely acquire dominant negative mutations in the TP53 gene. Koren et al., Genetic variation in human DNA replication timing. Cell, 2014. Genovese et al., Clonal hematopoiesis and blood cancer risk inferred from blood DNA sequence. New England Journal of Medicine, 2014. Genovese et al., Using population admixture to help complete maps of the human genome. Nature Genetics, 2013. Merkle et al., Human pluripotent stem cells recurrently acquire and expand dominant negative P53 mutations. Nature, 2017. 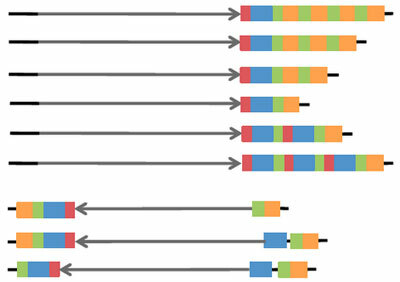 How do human genomes vary? A substantial and biologically important fraction of human genome variation arises from complex and large-scale forms of variation that human genetics hadn’t had the tools and approaches to understand. We are working to figure out how these edgier parts of the human genome evolve in human populations and shape human phenotypes. Handsaker et al., Large multiallelic copy number variations in humans. Nature Genetics, 2015. Boettger et al., Structural haplotypes and recent evolution of the human 17q21.31 locus. Nature Genetics, 2012. Handsaker et al., Discovery and genotyping of genome structural variation by sequencing on a population scale. Nature Genetics, 2011. Usher et al., Structural forms of the human amylase locus and their relationships to SNPs, haplotypes and obesity. Nature Genetics, 2015.